Can anyone tell me where the dash light dimmer switch is located? 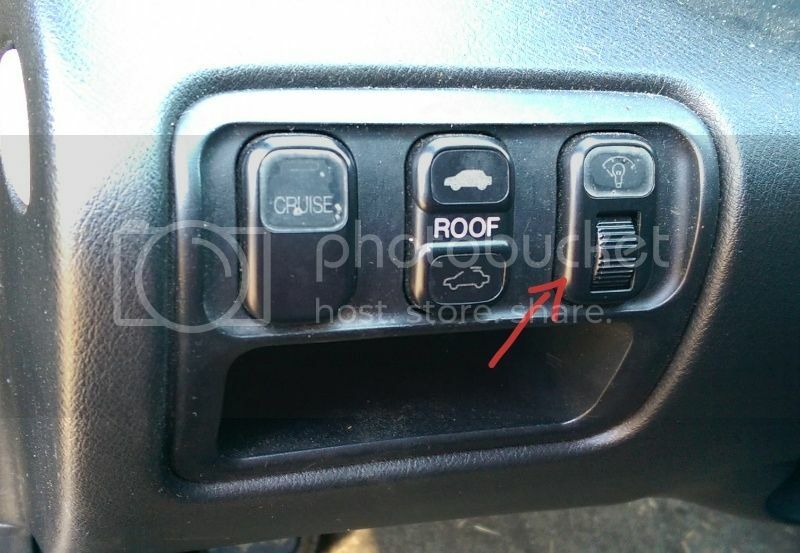 I recently purchased a 1998 5th gen and I can't seem to locate this switch. Any help is greatly appreciated. it should be right next to the steering wheel on the left in the 3 button bezel on the dash. If its not there take off the bezel and see if its behind it as some people hide that switch if they add on a fog light switch or something else in its place.